Looking for something different to do this Fall? 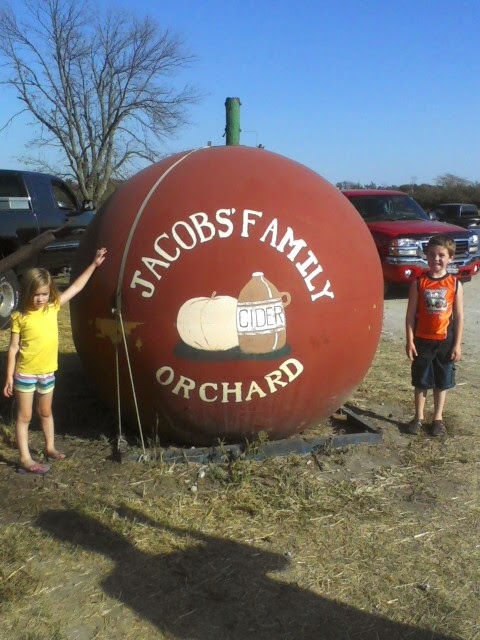 Try taking a trip to Jacob's Orchard in New Castle, Indiana. This little orchard brings the past and present together in perfect family fun harmony. Jacob's is a little over an hour from Indianapolis but worth the scenic drive. Jacob's Apple Orchard in New Castle, Indiana. The quaint family farm and orchard offers the traditional fare of pumpkins, apples, jellies and jams at a reasonable price. However, once inside the store, follow your nose to the mini-doughnut factory, where you can order a bag of cider doughnuts made to order. Grab a doughnut and an apple slushie and head for the fun! Allow two to three hours to enjoy the farm. Enjoy a hayride to the pumpkin patch, pick your own apples, feed the goats, climb through the inflatable train, explore the corn maze, and race to the top of the straw pyramid. 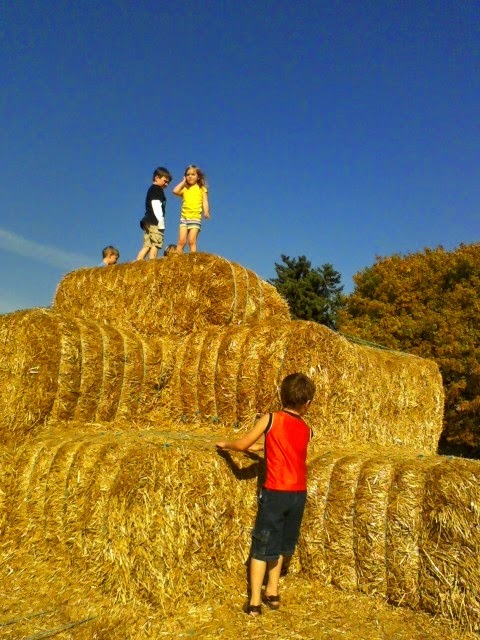 Fall Family Fun: Straw Pyramid, Hayride, Maze in Henry County Indiana. Be sure to bring a sack lunch to enjoy at the picnic area adjacent to the inflatable haunted house. Jacob's offers school field trips and group tours too. Plan ahead, the orchard is near Summit Lake State Park which offers many family programs, fishing, and beautiful fall foliage.